Dimensions 12 ft x15 ft 10 ft tall. Castle/slide combos are a big wow with children. This combo fits in most halls and gardens. 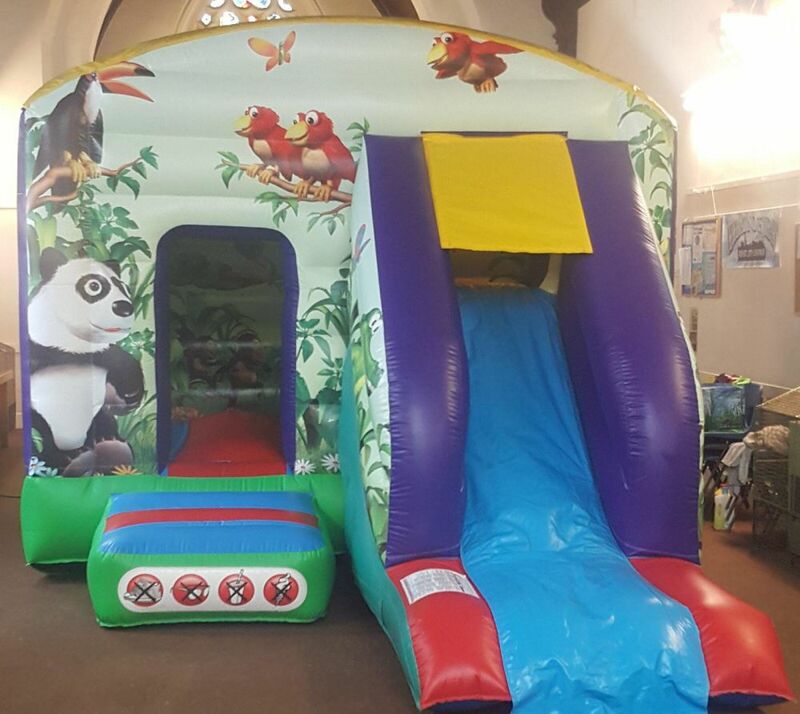 Slide, climb and go wild with this jungle themed combo inside bounce area and super wild slide is perfect for explorers. Suitable for girls or boys up to 1.5m tall.